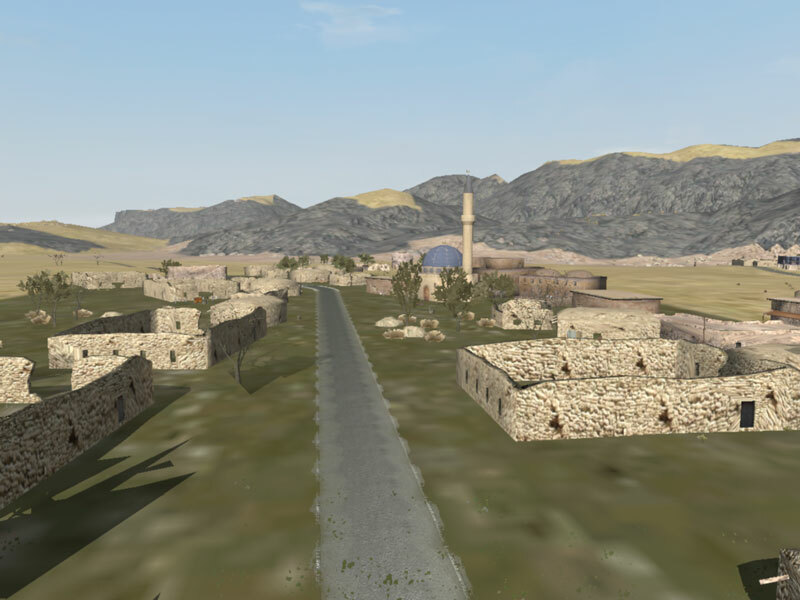 CAT Afghanistan v1.6 upgraded by AGS ported to ArmA 2 by PMC. 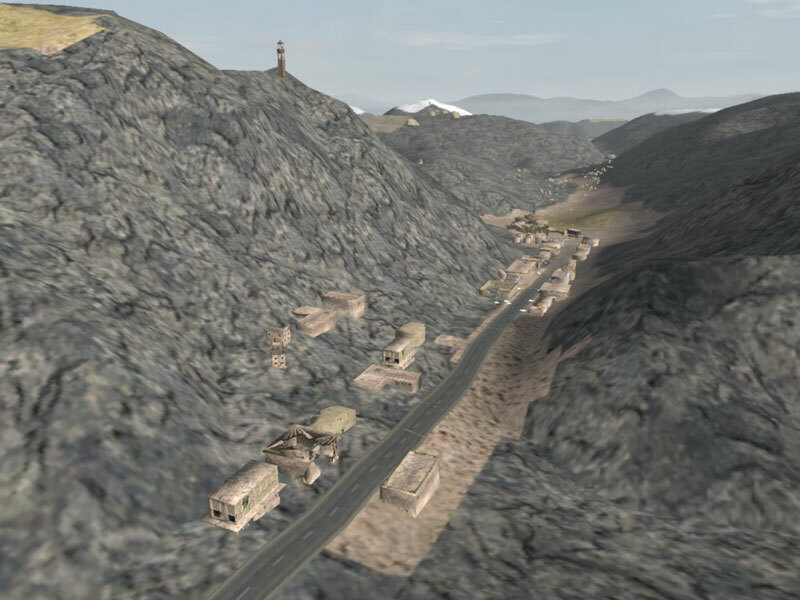 This is Afghanistan terrain and objects addon from Operation Flashpoint ported into ArmA 2. Its a advanced port, several modeling errors were fixed, textures merged and models optimized as well as config tweaked. 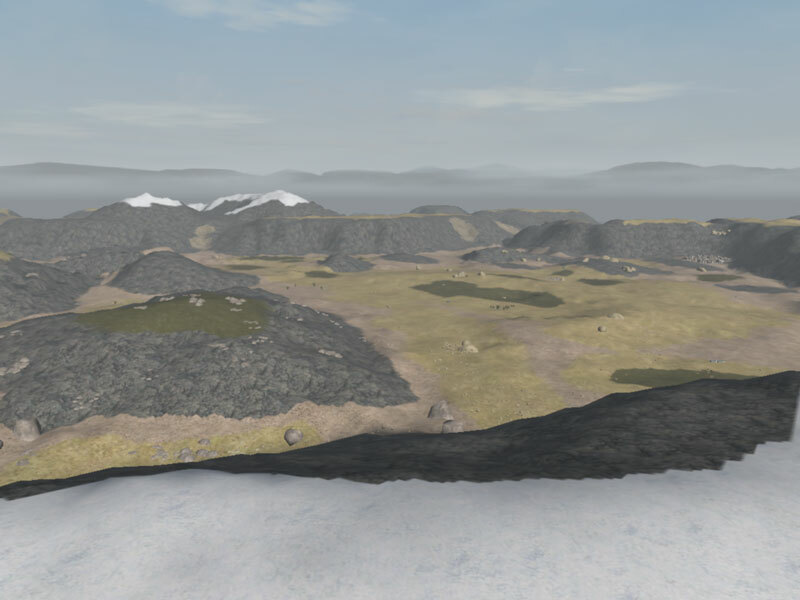 No content have been added (except terrain has no ocean now, ie this is a terrain, not an island) or removed. There are no soldiers or vehicles in this addon. 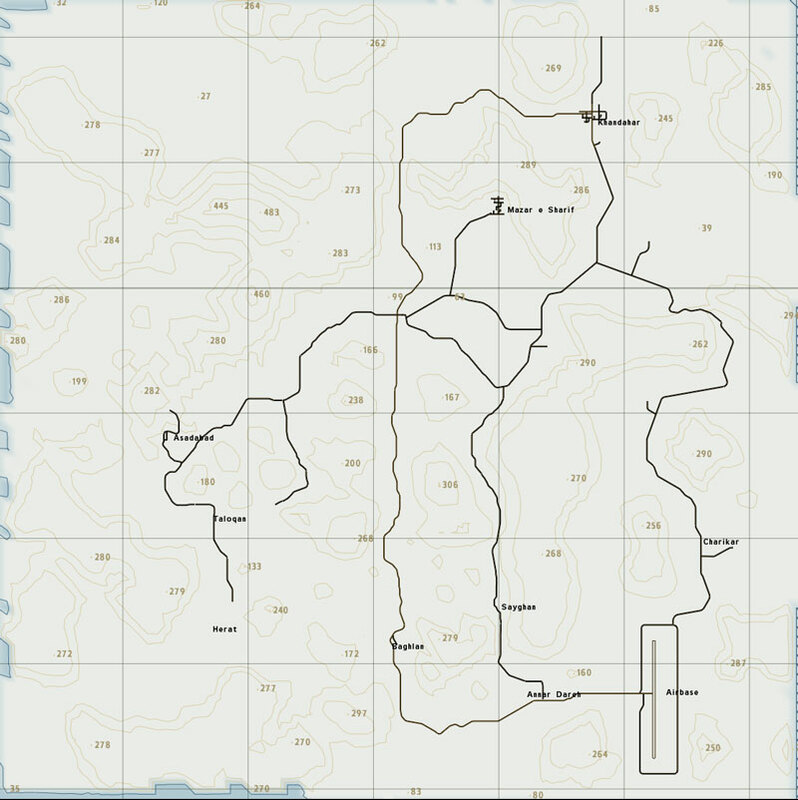 Please take a note that this is ArmA 2 version and will not work with ArmA. Initially this addon was released to OFP by CAT_SHIT_ONE (gotta love his name), there was couple of versions released which caused havoc in mission making community as whole cities were removed from the island. Then Agent Smith (AGS) released new version of this island CAT's Afghanistan Revisited. See some screenshots here: image1, image2, image3, image4, image5. You can find the AGS credits list in docs/credits.txt file. Besides that PMC credits Agent Smith for doing the last OFP work on this addon and now granting us permission to port it into ArmA. Also all the community users who have been posting constructive feedback, YOU guys made this new version possible, thank you very much. Sanctuary, honchoblack, tacrod, Winters, JJR, Munk, wheres my rabbit? WRPTool authors and everybody else involved into development of this great addon. ArmA 2, no other addons required. This is tested on ArmA 2 Combined Operations but there should be no specific “OA” or “CO” requirements. This should work in standalone OA and standalone ArmA 2. - ai planes don't see the mountains or steep hills, and crash or nosedive into them. - buildings are not really usable like in ofp. - main road bug - it is glowing in the night! - some building textures are wrong/ don't fit with the object. - some roads are so steep that no car or tank can climb them. 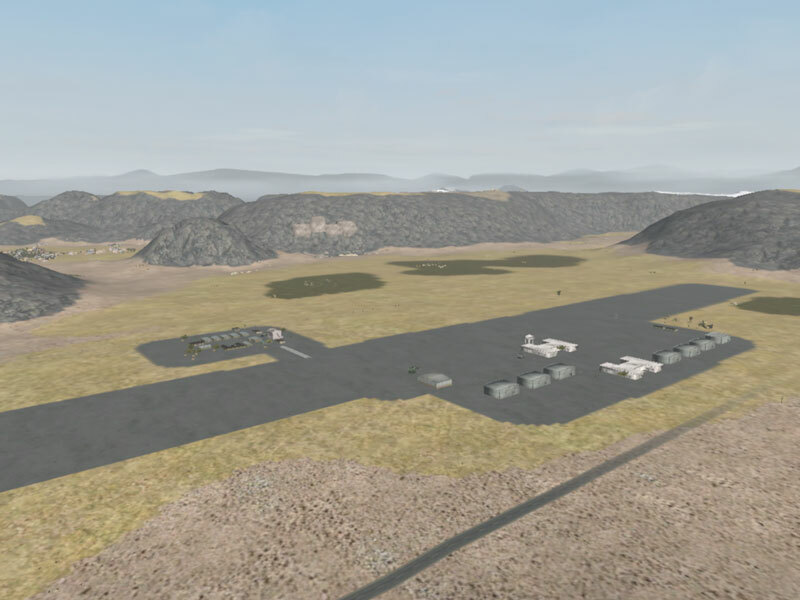 - the airbases runway, damages your plane as you takeoff and land. - the arma.rpt is full of error messages. - the tarmacked roads slow you down, the dirt roads don't. - roads don't seem to work. - buildings with proper shadows, casting proper shadows. - the ladders work when you add the buildings in the editor, but they don't in the map. - first ArmA 2 release. - various fixes, changes and tweaks to suit ArmA 2. - save game bug fixed. General area here and Here is the direct link. Download links from the release topic.